This is the first report of our birding activities and hope it will continue further. 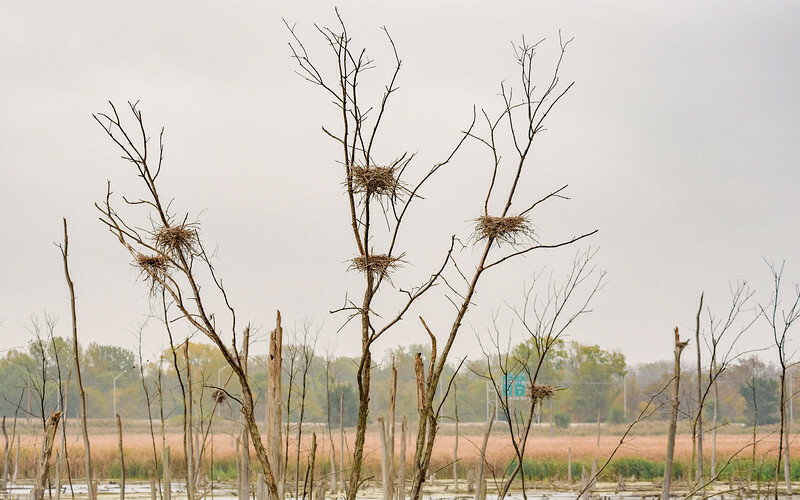 Today's (10/15/2016) birding was at Highland’s Heron Rookery, Highland, IN. This field trip was organized by Indiana Audubon Society and Indiana Dunes Birding Festival, me and my wife Shwetha have attended all of their field trips and thank them for this great opportunity. 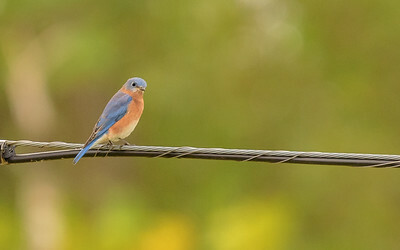 The field trip was led by Matt Kalwasinski, a great birder, and a wonderful guide. We started at around 8 AM with 8 people who had managed to come in the unexpected overcast. Matt started by telling us about the heron rookery, it is in a very unusual place! almost right within the human dwelling, for anyone who is interested in going there I have included a map below showing its position. 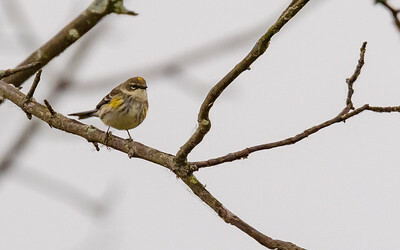 We started out on the east trial facing northwards, our 1st bird of the day was a Yellow-rumped Warbler. 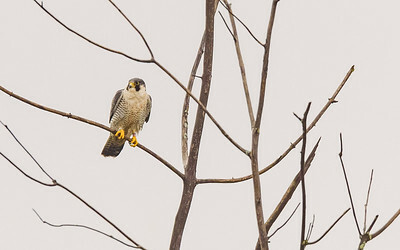 Then we saw a Peregrine Falcon, it sat on a dead tree for quite long time and gave the opportunity for some nice shots, this was a lifer for us. Later we saw many different kinds of water birds, like Northern Shovelers, Pied-billed Grebes, Green-winged Teals, Blue-winged Teals, of these the Teals were lifers. later we saw a White-crowned Sparrow and a song sparrow. 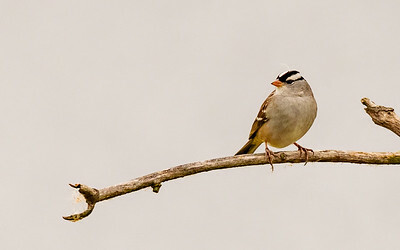 the White-crowned Sparrow was a lifer. further, in the rookery, we saw more Teals (both green & blue), American Wigeons, lots of wood ducks quite further away from the shore to photograph. but Matt’s digiscope gave a wonderful view of those distant birds. later we headed back and started on the southern trail of the rookery where we saw many Gadwalls, American coots, a Red-Tailed Hawk, an Eastern Bluebird, a juvenile White-crowned Sparrow along with the adult, Northern Flickr, Hairy woodpecker with lots of Mourning doves and European Starlings. 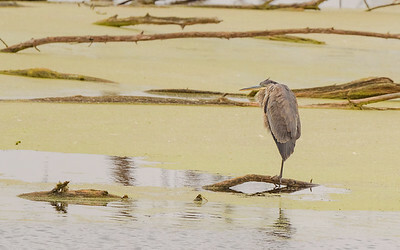 in-between a Swamp Sparrow also gave a brief view and of course there were Great Blue Herons. while returning we got another lifer in Palm Warbler, which was cooperative for some good shots. 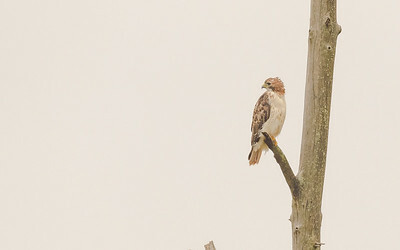 the final bird counts/sightings are here. Later we left a bit early since our 3 year old daughter was going beyond her cinderella time for bird viewing!! it called for some other activity. After a brief stop for lunch, we went to the Hammond Bird Sanctuary, this was in works for long but finally managed to be there. 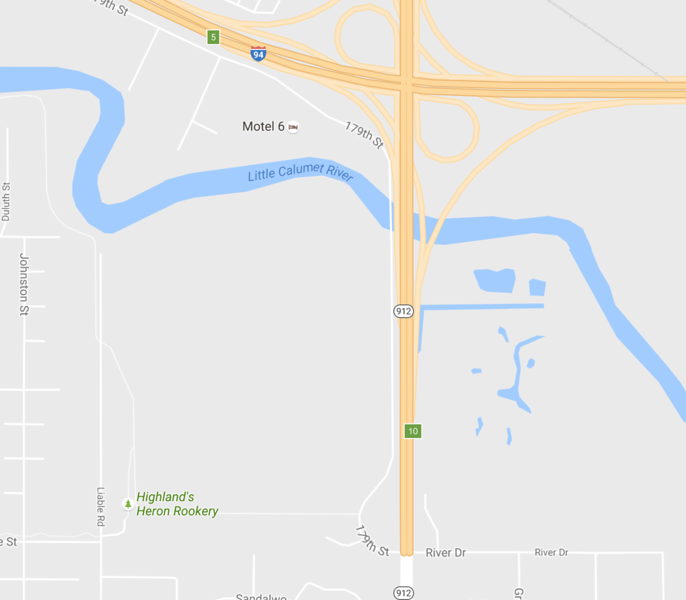 Unfortunately, Google map is not very good at directing us there. So we needed to do some old school direction finding and finally, we reached there without much of trouble. The feeder is the best place here, not much activity. 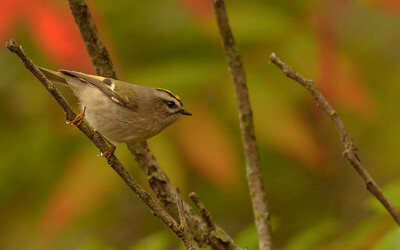 but we managed to get 2 lifers here, a White-throated Sparrow, which was very cooperative (it was by the feeder for almost 45 min) and lots and lots of Golden-crowned Kinglets. There were sightings of other feeder birds like White-breasted nuthatch, Woody & Hairy woodpeckers, Black-Capped chickadees. A Red-breasted nuthatch also made a brief stop, but I won't consider it since I was not able to see it and photograph it properly. It was there for all of 0.5 of a second!!! also saw a Double-crested cormorant in the lake. This place is truly amazing, with all the hullabaloo happening in the surrounding area, it surprises to see so many birds around. It also gives a confidence in, if conservation measures are properly planned and executed it can have a profound impact on the environment and I believe we are bound to do that. I didn't do an e-bird listing for this, so there is no list only photographs. The entire gallery could be found here, below are some sample shots.